If you love watching horror films but do not dare to watch them alone in your living room, pop down to the State Library of Queensland at Stanley Place, South Bank on 26th of October, Saturday for a free screening at the Halloween Terror-Fest Movie Marathon. A terrifying line-up of films run between 2pm and 9pm beginning with Wolf Creek. Come along to hear the audience scream. If visiting a cemetery at night is your idea of terror, imagine visiting the cemetery on All Hallows Eve, the period when spirits return to the land and the cemetery at Duttons Park is shrouded by dark and mysterious shadows. The South Brisbane Cemetery at Dutton Park will be offering a unique Halloween tour with superstition, ghost stories, folklore and fascinating history guaranteed to spook your night. The tour costs $15 and the money will be spent on heritage projects within the cemetery. Most of the stories told have historical truth including the double execution at Boggo Road Gaol on the 24th of October 1892. The special Halloween tour will run on the 26th of October. 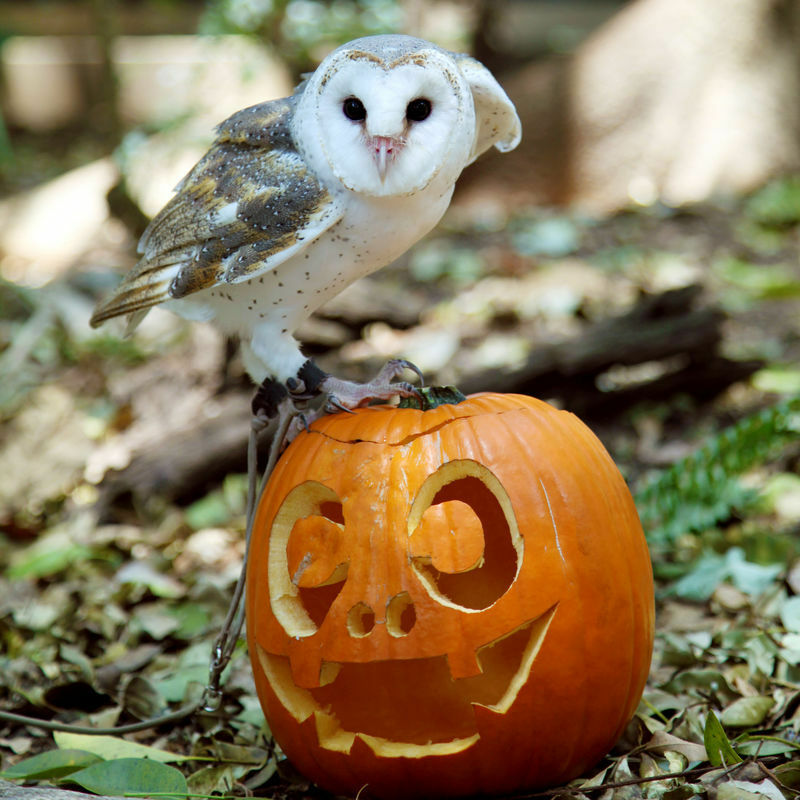 For the first time, Lone Pine Sanctuary will be open from 9am to 9pm on the 26th of October, Saturday for spooky celebrations. 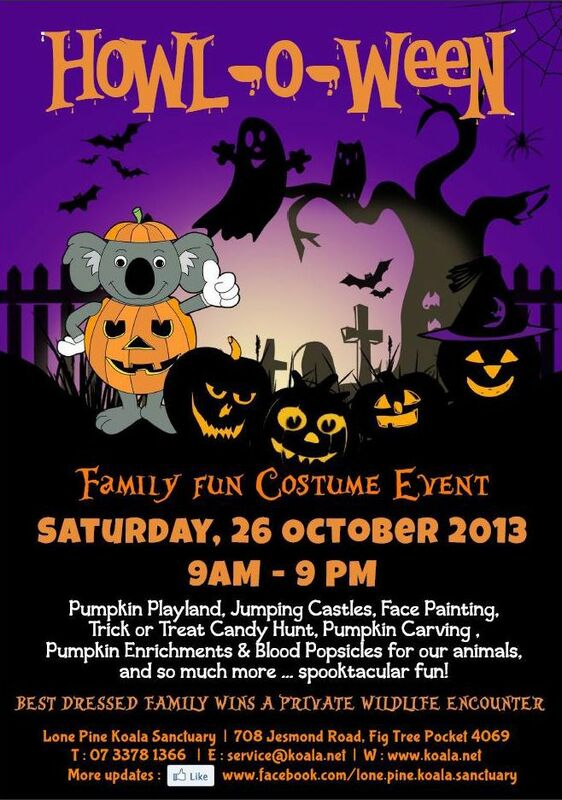 Plenty of entertainment to be found with free pirate jumping castles, a chance for the family to dress up in their favourite ghoul costumes for trick or treating, pumpkin carving, face-painting and air-brush tattoo and special animal enrichment including a fun-filled treasure hunt. Celebrate with the animals! On the 26th of October 2013, drop in to Cleveland's Halloween Twilight Makers Market if you feel like doing a bit of trick or treating and shopping at the same time. Your kids will love the arts and craft, jumping castle and face painting while the oldies' can enjoy glassmaking, pottery and arts and crafts in the market. Stop by at Raby Bay Harbour Park, Shore Street Cleveland for something for the whole family!